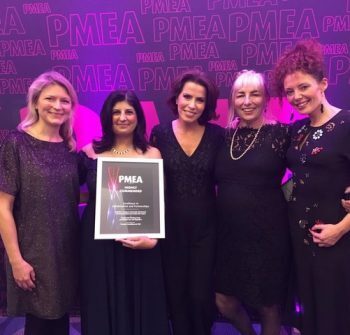 On 22 November 2018 the LJWG was awarded ‘Highly Commended’ for ‘Excellence in Collaboration and Partnerships’ at the prestigious PMEA awards for phase 1 of our HCV pharmacy testing pilot. “We are honoured to receive a high commendation for our partnership work with the first stage of our HCV pharmacy testing pilot. It’s a testament to the fantastic work of all our partners across pharmacies, local government, public health, hospitals and patient advocacy groups. “We are pleased to be continuing with phase 2 of the testing pilot which offers point-of-care RNA testing for current infection in pharmacies for the very first time. We are looking into the feasibility of offering treatment in pharmacies too and hope to run a pharmacy treatment pilot soon. More details, please see the PMEA awards website here. © London Joint Working Group The LJWG receives funding from: AbbVie, Gilead Sciences and MSD. The content of this website is written by LJWG.